Whether you are looking for the perfect affordable holiday home in an ideal climate or a high-yielding investment property, Thailand is an ideal purchasing destination. Thailand’s most-popular tourist resort. Prices for property are still affordable and, for investors, yields are the highest in Thailand due to constant rapidly growing tourist numbers. Thailand’s newest and fastest-growing real estate buying destination. Constantly increasing tourist numbers plus affordable prices make Chiang Mai highly attractive for buyers. 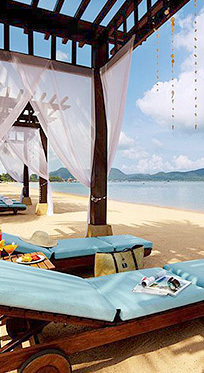 Thailand’s most upmarket vacation resort island. Those looking for a five-star luxury buying destination are sure to find their dream home in Phuket. 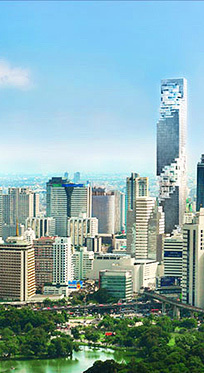 Thailand’s capital city will always be one of the country’s leading property hotspot. With prices having increased by over 14% in 2016, it’s an ideal location for capital growth. Thailand’s economy is booming – and this is leading to the country having one of the hottest real estate markets in the world today as a result of the rapidly increasing incomes of middle class Thais together with massive amounts of foreign investment. Due to these factors, property prices are increasing rapidly – in the region of 10% per annum and rental yields are also highly attractive at an average of 5-8%. With massive investment in the country’s infrastructure on-going and entry into the ASEAN Community in 2015 which will see Thailand becoming the crossroads of SE Asia, prices are set to rise still further for several years to come. Despite the rapidly increasing prices, property in Thailand is still highly affordable, starting from just $30,000. Thailand City Real Estate offers buyers the best selection of investment and residential property in the country’s four hottest markets – Bangkok, Pattaya, Phuket and Chiang Mai. Pattaya is where the world comes to relax and play – SE Asia’s most popular coastal resort city. Every year, more than 8 million tourists come to enjoy the city’s warm, tropical climate, sandy beaches and blue seas. The highly cosmopolitan city is also home to a vast expat population who come from all over the world. With constantly increasing tourist numbers, demand for all types of property is higher than supply. This means that rental yields in the city are exceptional, with property in prime locations seeing rental yields in the region of 8-10% per annum. Prices in the region have been increasing consistently at an average of 10% each year over the decade. With the expansion of U-Tapao airport and the opening of a new high-speed rail link from Bangkok, these price increases are set to continue for many years to come. Starting at just $30,000, prices in Pattaya are currently highly affordable, but won’t stay this cheap much longer such is the constantly increasing demand. Chiang Mai is Thailand's hottest new real estate market. For much of the past 15 years, Chiang Mai was overlooked by property buyers. However, over the past three years, buyers are making up for lost time and the market is now seeing capital increases of 20% plus per annum. 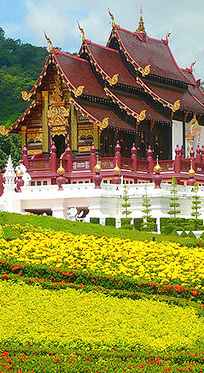 The success of Chiang Mai over recent years is due to the cosmopolitan nature of buyers and tenants in the city. Thai buyers started buying second homes here after the Bangkok floods of 2011. The city is a major industrial hub, which leads to increasing demand from foreign managers for quality housing. Chiang Mai University attracts wealthy students from all over the world. And there is an ever-growing population of expats attracted to the city for its temperate climate and affordable cost of living. This has led to high demand for rental accommodation, leading to annual yields of 8-10%. Prices are currently affordable here, but with prices growing constantly, they won't remain this low for much longer. If you are looking for the most luxurious properties in SE Asia, then Phuket is the ideal buying destination for you. 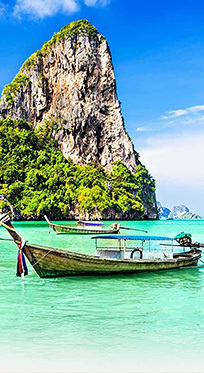 The island is famous for its crystal blue waters, unspoiled sandy beaches and rugged mountainous interior, so has become the most upmarket buying destination in Thailand. With a population of over 10 million, Bangkok is one of Asia’s largest cities, with a population significantly larger than Hong Kong, Taipei, Kuala Lumpur or Singapore. Its location right in the heart of SE Asia and the country’s entry into the ASEAN Economic Community means that Bangkok’s importance in the region is set to increase still further. Already, Bangkok International Airport is the busiest international airport in the world. Despite all these factors, real estate prices in Bangkok are still only a fraction of those in other important regional capital cities, with starting prices well under $100,000. Such prices are increasing rapidly, however, as the increasing prosperity and easier access to financing for middle class Thais will see the real estate market continuing to grow considerably. With Thailand’s economy growing rapidly and the city’s transport infrastructure constantly being improved and extended, Bangkok’s real estate market offers greater opportunities for capital growth than any other capital city in the world’s most dynamic region. Can foreigners buy real estate in Thailand? Can I get a visa to stay in Thailand? Is it safe to buy with a Thai Company? What purchase taxes will I need to pay? Can I rent out my property in Thailand? Our best-selling property for small investors. Apartments on this fully featured resort which offers a Guaranteed Rental Yield of 10% per annum for a period of five years. Located right in the heart of Pattaya, this newly released project offers excellent potential for both rapid capital appreciation and high rental returns. Our most affordable property in Chiang Mai today. For less than THB 1.5 million, you can get a 29.7m2 studio in a prestigious project in a highly desirable location. The most affordable development on Phuket offers a fully furnished and ready to move in 30m2 studio apartment on a fully featured resort, just five minutes away from lively Patong. A highly affordable development offering a great payment plan for investors, beautiful green and river views, but is still within easy access of a BTS station. Quite simply, the Ritz-Carlton Residences will be the most prestigious project ever constructed in Thailand.